Cannabinoids are a diverse group of compounds that can be produced by plants, produced by humans and animals, or synthesized in a lab. Phytocannabinoids are naturally occurring compounds produced by the Cannabis plant and several other plant species. Research to date indicates full spectrum naturally derived flower oil extract to be more effective in treating heath issues. However, the interaction of the all the phytocannbinoid and terpenes that the Hemp plant produces naturally have proven to be a challenge for science and formulators to replicate. 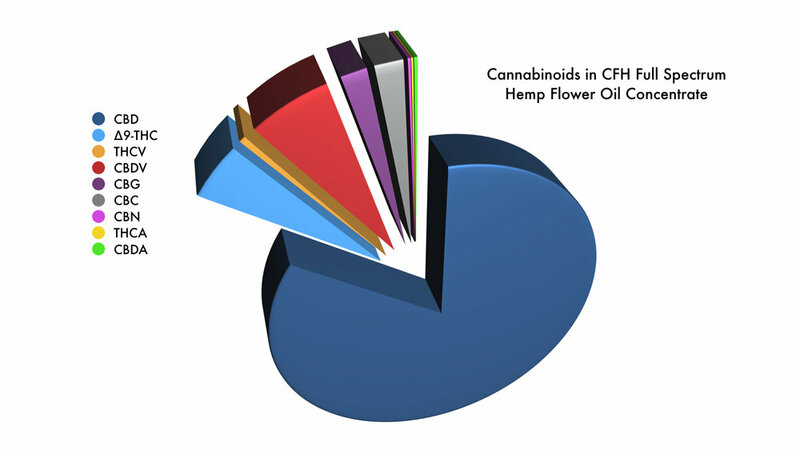 CFH, Ltd. is committed to producing the highest quality most effective CBD oil by utilizing strains, production methods and extraction processes that capture all of the components the plant produces naturally to provide a highly effective full spectrum oil ingredient for formulation from the pure flower extract CFH produces.